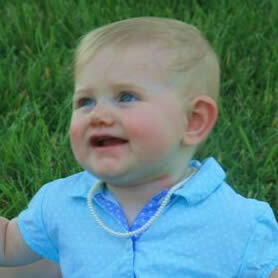 Freshwater pearl necklaces can transform any outfit from ordinary to extraordinary! Each pearl is hand knotted on silk thread. Our choices of designs and colors will compliment any piece in your wardrobe. Or, use them as an excuse to buy yourself something new to wear! 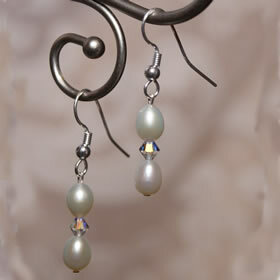 A pair of pearl earrings are a "must have" for every wardrobe. They are the perfect accessory to any outfit and will never go out of style. We choose our freshwater pearls with great care to give you that perfect gem of a piece of jewelry that you deserve. 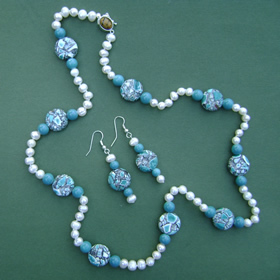 These are pearls that are formed in freshwater, as opposed to those formed in saltwater. Mussels form pearls in freshwater and oysters form pearls in saltwater. How do freshwater pearls get their beautiful colors? Mussels naturally produce freshwater pearls in white, ivory, and very pale pink, beige and gray colors. The color range in freshwater pearls is expansive – so how do those other colors come to be? 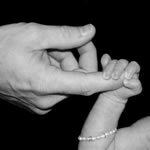 Even to this day, it is a trade secret known only to those who are cultivating the pearls. But it is thought that by adding very small quantities of metal salts to the water in which the mussels reside, the pearls then take on specific colors. Depending on the shape of the mantle (tissue) that is inserted into the mussel, that determines the shape of the pearl that will be formed. Freshwater pearls can be found in almost any shape. Some of the most recognized shapes are round, drop, rice, button, oval, semi- round, and baroque. The round shape pearl is generally the most expensive, but personal preference dictates the shape that customers like. I love the odd shape pearls because for me they have the most character. The luster on the pearl is one of the most important qualities that one should look for ~ as well as minimal blemishes such as discolorations, bumps, wrinkles. As long as the pearl has a good luster, no matter what shape or color, I consider it a good freshwater pearl. Keeping your pearls clean will help preserve their beauty and luster. Your pearls will stay cleaner longer if you put them on after you have applied your body lotions, perfumes, hairspray and make-up. 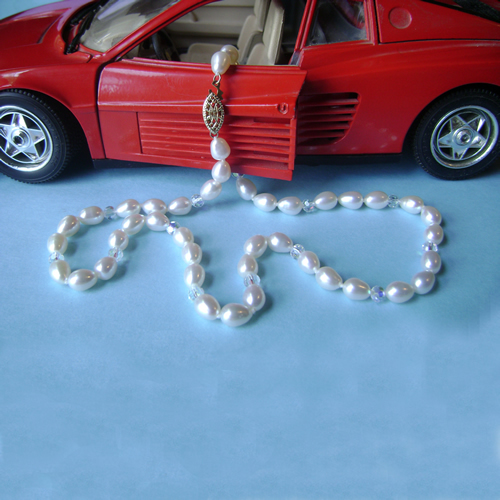 Wipe your pearls with a soft, lint free cloth as soon as you take them off. 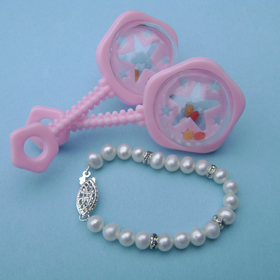 If your pearls become a little dirty they can be cleaned with a mild soap and water solution. Make sure to allow your pearls to air dry before putting them away. 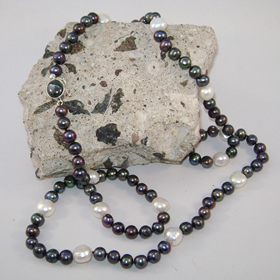 Do not clean your pearls with solutions that contain ammonia or harsh detergents. Never put your pearl jewelry in an ultrasonic cleaner. Do not use abrasive cleaners or rub pearls with an abrasive cloth. It will scratch the pearl and you will be left with a dull, non lustrous, plain looking bead. Once the luster has gone on the pearl, it has gone forever. Please treat your pearls with tender loving care. Remember that muscle or oyster worked hard to produce her pearls. Bracelets are always in fashion, and a freshwater pearl bracelet will become a keepsake for years to come. Each piece is one of a kind and hand knotted on silk thread. Choose from our lines of single, double or triple strand bracelets to create the look you want! A pearl ensemble is the epitome of feminine jewelry. We create our necklace and earring sets with breathtakingly gorgeous freshwater pearls, all hand selected to create the classic elegant look you desire. Treat yourself today while purchasing an heirloom for tomorrow. How are freshwater pearls made? Pearls are created when mollusks try to rid their shells of foreign matter. When something hard, like a stone, is lodged in their shell, they coat the offending matter with a substance. Most of the freshwater pearls today are grown in mussels. The largest producers of freshwater pearls come from the mussels in the pearl beds of China. The specific techniques for cultivating freshwater pearls still remains a mystery. In general, the process goes as follows. A piece of fleshy mantle from a donor mollusk is inserted into the producing mussel. The mussel becomes irritated and starts to cover the intruder within the shell with a smoothing saliva called nacre. Layers upon layers of nacre build up until one day the mussel is opened and you have a beautiful pearl or pearls. This process of cultivating a freshwater pearl can take 3-5 years. The longer the period of time, the larger the pearl. It's hard to believe, but the mussel can produce up to 20 pearls in one cultivation period. The result of this process is a 100% solid pearl throughout. That is what makes this pearl so desirable. The cousin of the freshwater pearl is the saltwater pearl. This pearl is grown in an oyster and generally can only produce one pearl at a time. Because the production is less, the cost is much higher. Freshwater pearls are quite a bit less expensive than saltwater pearls purely for this reason ~ they can produce more pearls in a much shorter amount of time. I adore the freshwater pearls because of their unique shapes and colors. The pearls come in all different sizes, as small as a grain of rice up to the size of a quarter or larger. 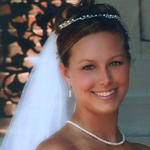 When sizing pearls millimeters are used. So a 1 or 2 millimeter pearl is the size of a grain of rice. A 6 millimeter pearl is the size of a dime. Please do not store your pearls with your other jewelry. They can be easily scratched when metal or gemstones rub against them. Find a special place in your jewelry box for the pearls. Or, even better, put them in a soft pouch. Do I Need To Have My Pearls Restrung? Your beautiful pearls should be restrung from time to time so that you have peace of mind that the silk thread is in good condition.